Feast. Roasted corn. 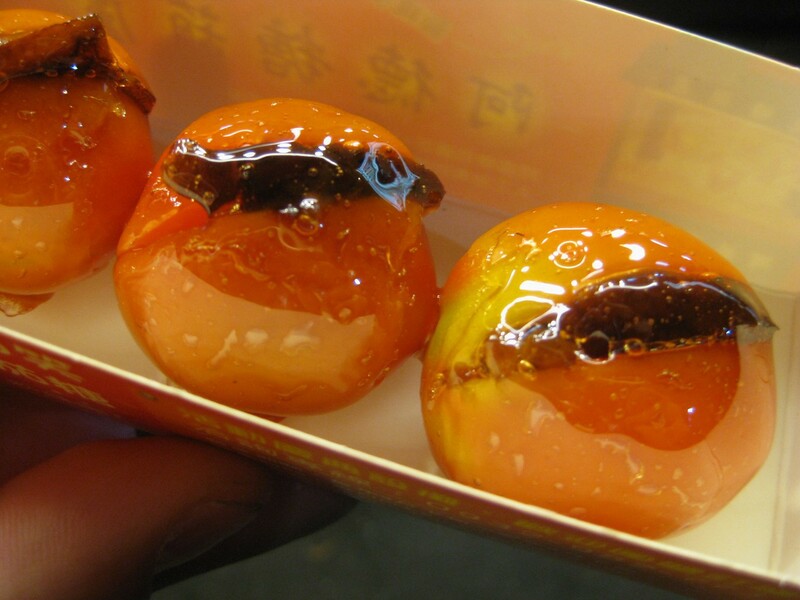 Tomato-plum-sugar-glazed gig. 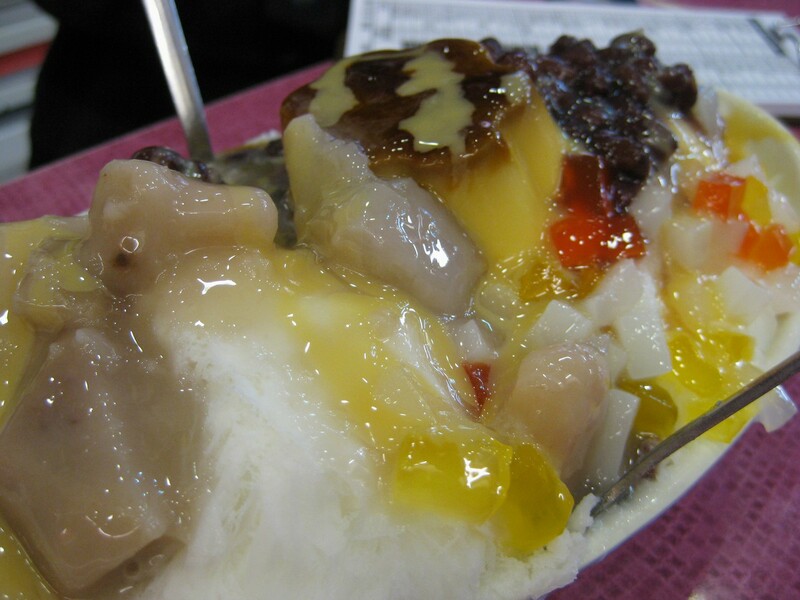 Super-duper shaved ice. This night market was infinitely smaller than Shilin, but fun nonetheless. Shown below is a combination of corn on the cob, high heat, and an unknown ooey-gooey glaze. I wasn’t entirely sure what I was ingesting, but it was salty and tasty. 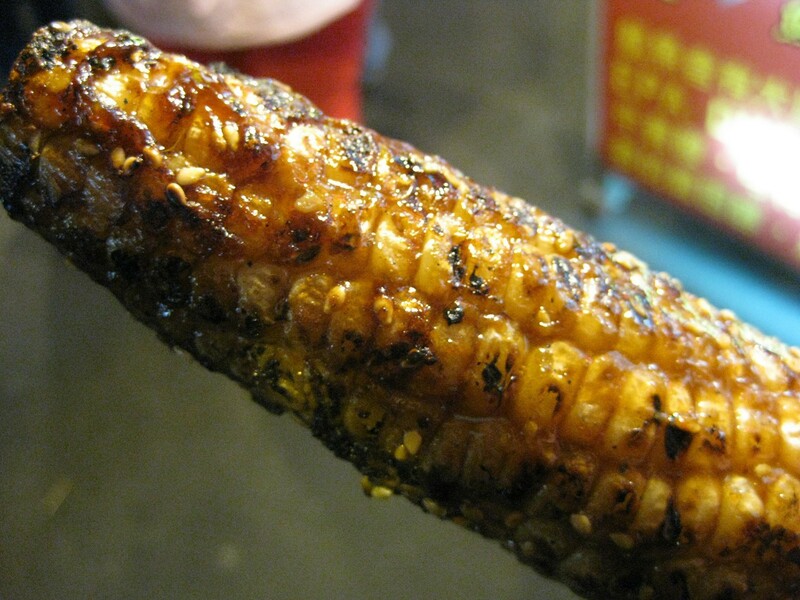 The corn was constantly brushed with glaze, creating a delicious caramelized crust of both the glaze and burnt corn, a unique flavor compound profile that contained not only hints of sweet and savory, but probably a fair amount of carcinogen flavor too. Whoops. This apparently was a pitless (or pitted) plum sour stuffed inside a tomato, and glazed with a simple syrup. 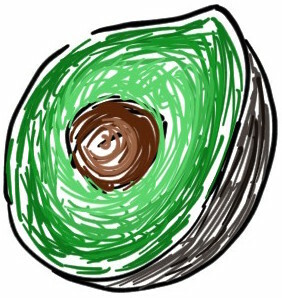 It wasn’t terribly sweet. I don’t know who invented this, but funky…realll funky. Reminded me of Thanksgiving…you know…stuffing things inside things. I got these from the local jewelers. Coarsely shaved ice (not like the ice cream fluff), with toppings that texturally pissed me off. I don’t know about the combination of beans, jelly, and liquid. I’m not exactly sure how to chew it; little bits of jelly here and there escape, the sweetened Adzuki beans sort of stick to your teeth, the taro just gets in the way, and the ice n’ sugar slurry goes straight down your throat. There’s all sorts of shapes and sizes that don’t quite work. Not to mention the ugly colors. This unfortunately, was not quite as appetizing as I had hoped. Then again, I like my desserts to have the same consistency (ice cream, cheesecake, panna cotta…etc). Although, if you chew long enough, everything is the same consistency. Perhaps a return to the baby food days, no?